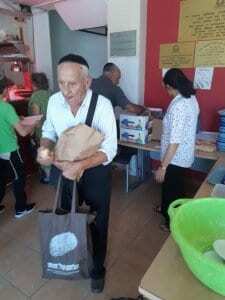 In its second year, the successful “Challah for Sabbath Project” program aides struggling Israelis who rely on Meir Panim for a daily meal. This program ensures that impoverished Israelis have something to eat over the Sabbath. Challah is a sweet, braided bread traditionally eaten by Jews on Friday night and Saturday in honor of the Sabbath. Through the “Challah for Sabbath Project”, every patron who visits Meir Panim on Thursday is gifted with two fresh-out-of-the-oven challah loaves. The Bible is replete with references to the blessings that come with baking challah. 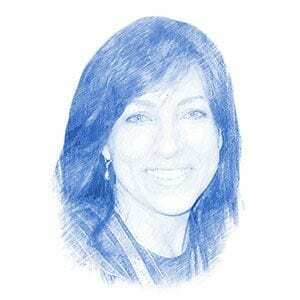 For example, the Talmud explains that the tent of Biblical Mother Sarah was known for its special holiness, including that her dough remained fresh and nourishing all week. This implies that when you donate to feed others, your home will be blessed. Meir Panim was established over 10 years ago to help alleviate and diminish the debilitating effects of poverty in Israel. The organization serves hot, nutritious meals to hungry and lonely people in five strategic locations throughout the country. On Thursdays, they distribute 30 percent more food so that people can take home packages to sustain themselves over the weekend. The “Challah for Sabbath Project” is an addition to this standard fair. 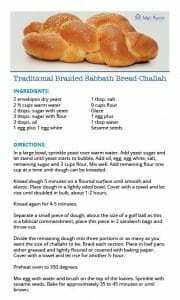 Make your own traditional braided Sabbath bread-challah!